How does the stack trigger in this scenario? 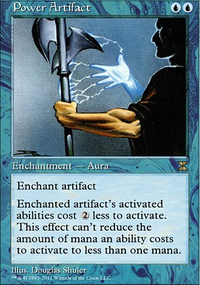 Can you flash in anti-draw in response to Forgotten Creation? What happens if I flash Iona in response to a counter spell? 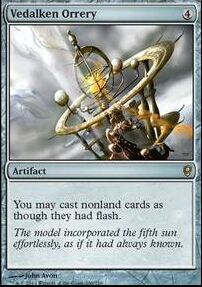 Since you have Paradox Engine unwrapping your mana pretty much every turn maybe Vedalken Orrery would be another good card for the deck so you can cast more of your stuff at instant speed. 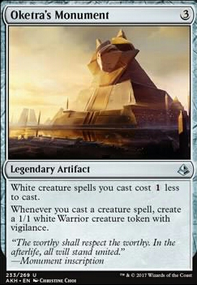 I would say this deck could get some good play with a Paradox Engine and plenty of mana rocks since you’ll be casting so many spells. 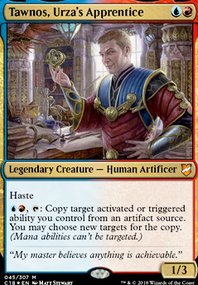 Which may even potentially let you get some use with Vedalken Orrery since your rocks could untap each turn with Feather bringing back those value combat tricks. 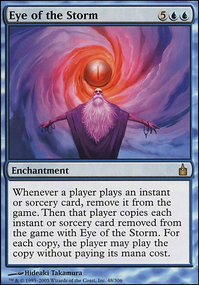 Oh, also you NEED Vedalken Orrery and Leyline of Anticipation a LOT of your cards are sorcery speed and most of them would be 20 TIMES BETTER if you could cast them at instant speed. ZendikariWol on Roony and the Blink Machine! 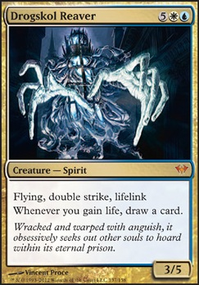 Honestly, as an avid Vedalken Orrery fan (it's in like half of my other decks), I don't really know how often I would use it. I love flash and flash-based shenanigans, but this deck already has a lot of opportunities outside combat.